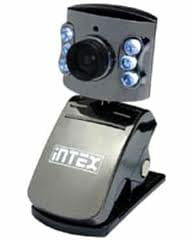 Looking for a driver of an Intex web camera? If you've formatted the hardware of the machine recently and didn't make a backup of the data which had the driver of Intex PC, how can you get the web camera to work? Don't worry about the hardware - software can do the trick easily. For an Intex web camera of any model, download the driver link from the company website by selecting the model of your web camera and clicking on download. For example, for the IT-305WC model of the Intex web camera, one can follow the steps mentioned above. Please send me a link for downloading a driver for intex PC camera IT-305WC, as I recently formatted my computer and I have lost the CD for my intex PC camera. Can you also tell me how to install the driver and get my Webcam working again? Thank you. Click on PC Web Cam --> Select your model and download it. Published by aakai1056. Latest update on June 29, 2012 at 12:11 PM by Jean-François Pillou. This document, titled "Driver for Intex PC camera IT-305WC," is available under the Creative Commons license. Any copy, reuse, or modification of the content should be sufficiently credited to CCM (https://ccm.net/).